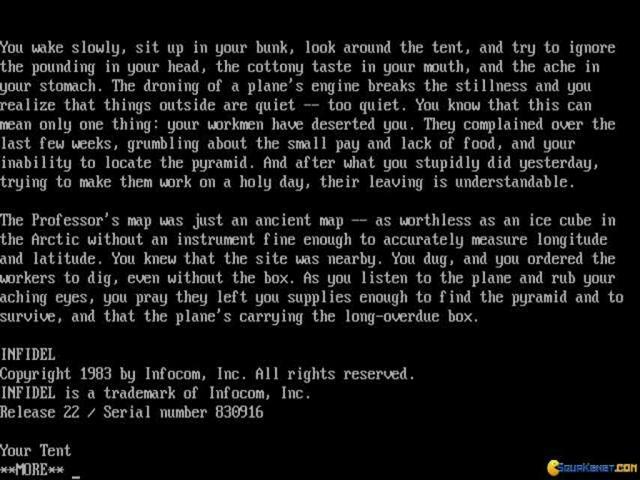 Infocom speology and management of employees adventure! 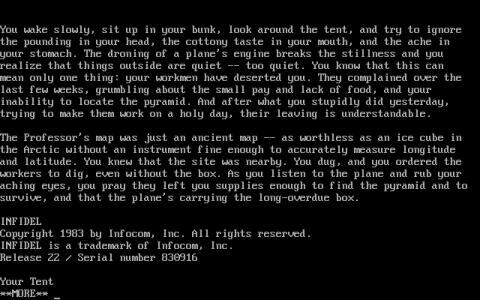 Infidel is a pretty classic adventure game, delivered text based and offering you a good, sturdy parser. 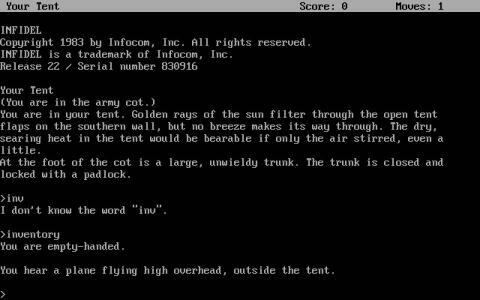 That won't make your gaming easier, but it can keep you out of many other issues that the game might put your way. 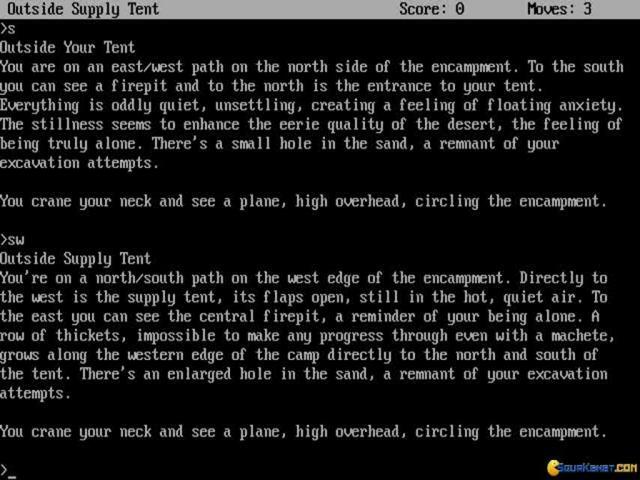 However, if you can't stand text based adventures this game will do little to fix that situation, as the game is only controlled via text based controls. 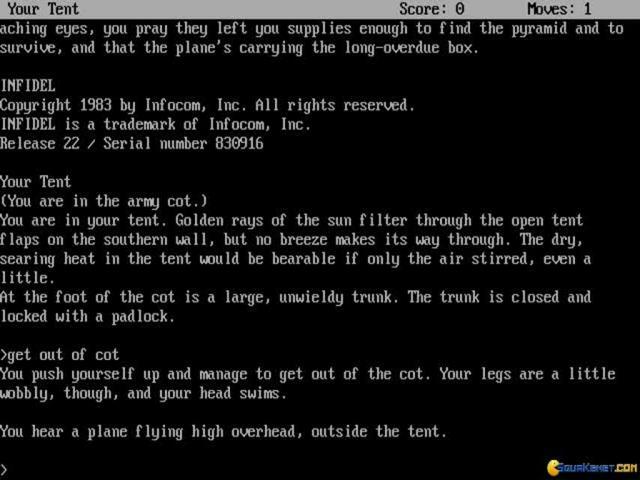 Still, if you can overcome this hurdle, you'll learn that this game is a funny adventure, putting you in control of a miner investor/boss that had issues with this first speology expedition. 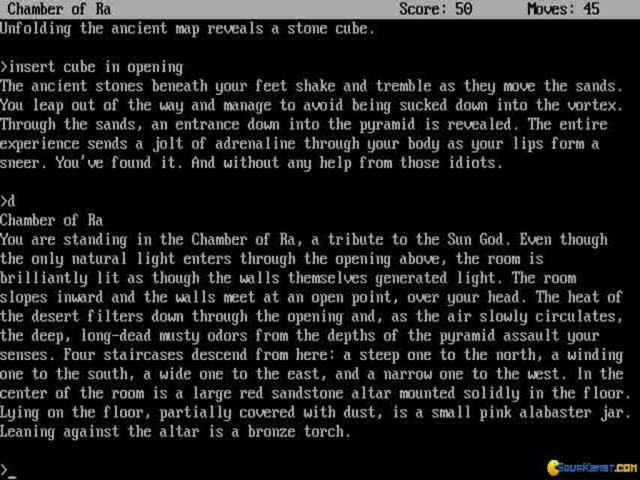 Thus, this second time you have to make do with yourself only, navigating the treacherous pyramids and other areas where you will find yourself adventuring through, just because, you know, if you have an incessant hunger for...TREASURE! 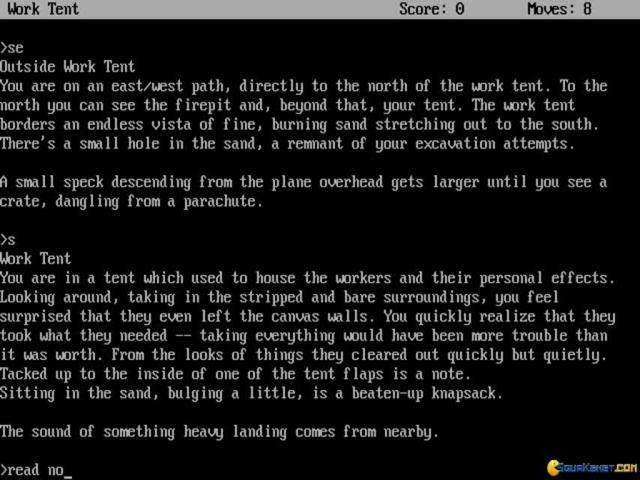 yep, it's a bit like an Indiana Jones game, only that it is text based only, which is the most repulsive thing about this title, so make sure you brace yourself and go through that initial accommodation phase, after which the game will offer you a lot of fun!